Whiskey Tango Foxtrot (2016) aka WTF is the Comedy military tale from the Kim Barker’s 2011 memoir “The Taliban Shuffle: Strange Days in Afghanistan and Pakistan.” Barker is now an investigative reporter for The New York Times. The Co-directors of “Crazy, Stupid, Love” (2011) is the directors of this film too. The Story tells about the weird relationship between the Tiney Fey and Martin Freeman while working together as a War correspondent. Now, this movie is running in USA theaters. Everybody in their performance showed with lots of fun. Martin Freeman acts as a Scottish photographer, and Margot Robbie acts as a journalist, if both of them appeared on screen means, then there is the character of crazy nature is poped-up. And Tina Fey played their role as ever smart and screened as a very dangerous person. 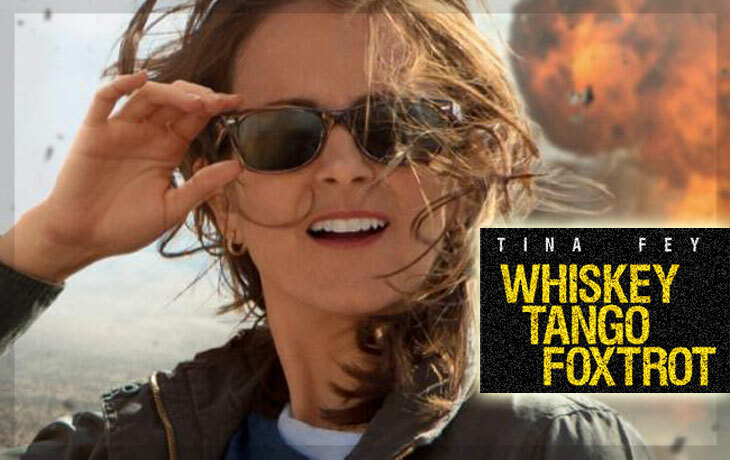 Whiskey Tango Foxtrot is a deadly pond but, it is an enjoyable one to watch it on Theaters. This film may be unsatisfied some of the people as it is based on war and backdoor fun during the war.